New for 2015 exclusively for the Australian market, this could be the stongest wheelset you'll ever buy. We spent 24 months designing this product working with one of the top ranked Tandem teams in the country. We looked over the countless number of broken rims, cracked hubs, bent freehubs and came up with design and material solutions to prevent every failure we had. The freehub is a custom made 6-pawl arrangement (double the number of pawls in a standard road wheelset), this means quicker engagement and less shock loading on the hub internals. We then made this part from steel, not alloy so it will handle the load without blinking. 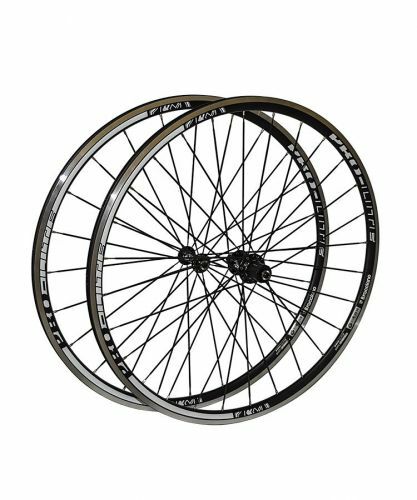 Since we designed this wheel to be strong enough for tandem teams, bigger riders, sprinters, tourers and riders who demand the highest levels of reliability will be right at home with this product.